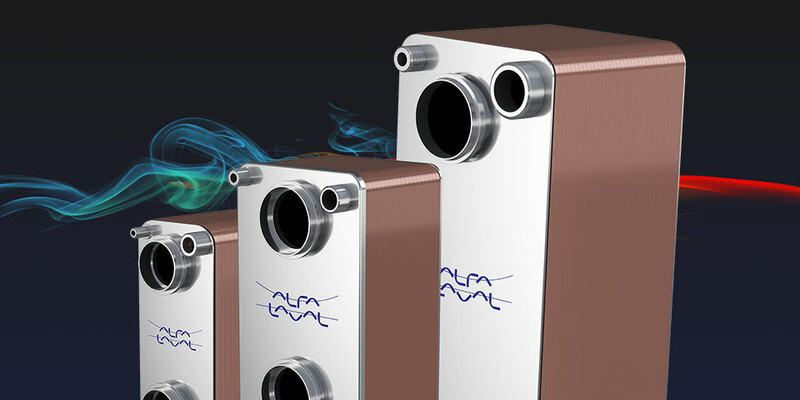 The Alfa Laval GL product line is an ultra-compact, high-efficiency solution engineered to meet the unique challenges of simultaneously working with gas and liquid media. A revolutionary new design handles very high temperatures with very low pressure drop. Manufactured with Alfa Laval’s proven copper-brazing technology, they also ensure the reliable performance you expect from the world leader in thermal transfer. The Alfa Laval GL product line is the perfect choice for numerous asymmetrical heat transfer applications. They are designed with a lightweight brazed construction that offers much greater thermal efficiency and is typically 75% smaller than shell-and-tube designs used for similar duties. 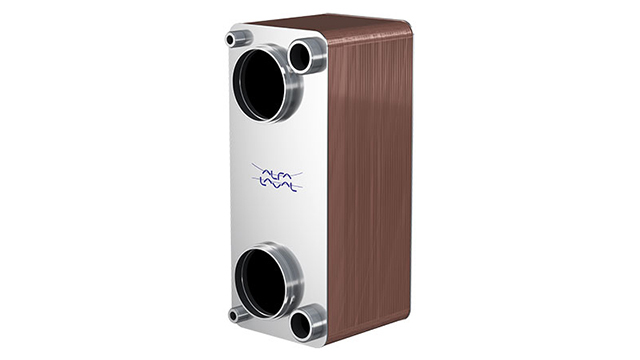 Furthermore, while normal copper-brazed plate heat exchangers can often only handle temperatures up to 225°C, our GL product line supports much higher temperatures with no risk of thermal fatigue. This enables superior performance in high-temperature exhaust gas duties as well as in all types of condensation applications. Curious about what our GL product line can bring to your business? Download an overview of our gas-to-liquid portfolio to learn more about how customers use this technology in a number of different applications. You will also find product configuration information as well as technical specifications.